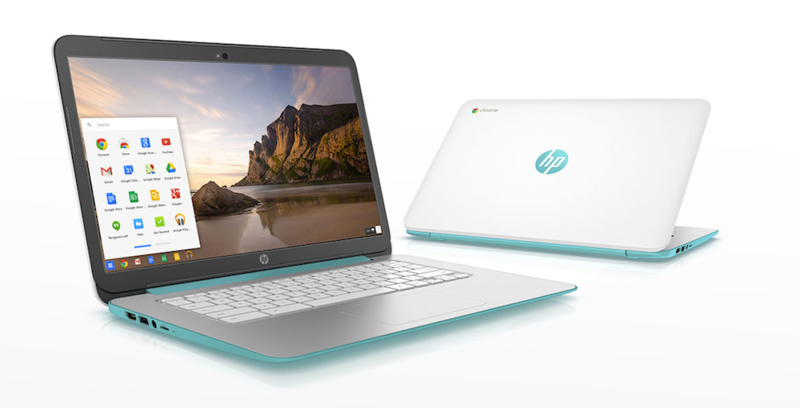 Two new Chromebook devices have been announced from HP, with one of them, the 14″ HP Chromebook, sporting an NVIDIA Tegra K1 processor. There are two models, one with an 11″ display and the larger with a 14″ display, both priced at under $300. As for hardware and design, both feature bright colors, as well as come running Google’s Chrome OS, naturally. According to HP, the larger tablet also features a “free 4G data package,” which could be handy should WiFi be hard to come by. HP hopes to have the 11″ model available for purchase by October 5 for $279, while the larger model, featuring the Tegra K1, will be available October 22 for $299. Are you rocking a Chromebook? Do you love it?